The KSM (Kleos Scouting Mission) satellites of Kleos Space, a Luxembourg-based New Space geolocation company, will be used for a scouting mission to geolocate maritime radio to guard borders, protect assets, and save lives. 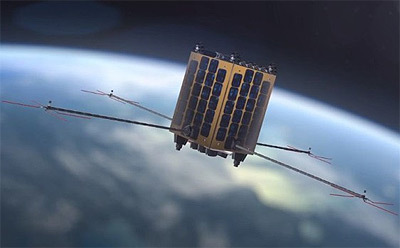 The multi-satellite system (number of satellite has not been revealed) of the Kleos Scouting Mission (KSM) will form the cornerstones of a 20-satellite constellation that will geolocate VHF transmissions from marine vessels to provide global activity-based intelligence data as a service. The Kleos Space constellation will detect radio transmissions and pinpoint their origin and timing, enabling governments and organizations to detect activity such as drug and people smuggling, illegal fishing, and piracy, and also identify those in need of search and rescue at sea. Built by GomSpace, the first three Kleos Space satellites are scheduled to launch on an Electron KS rocket from its New Zealand Launch Complex-1 in mid-2019. They will be integrated into Rocket Lab’s in-house-designed-and-built Maxwell dispensers and deployed from the Electron kick stage to low Earth orbit.